Gift giving, celebrations, food and family time. That was the order of the day for most families in Samoa on Sunday, as the whole country stopped to pay tribute to motherhood and to appreciate the love of great mothers. Mothers Day is celebrated every year, on the second Sunday of May. It is a day to celebrate and appreciate our mothers, and to remember their roles in our societies. Throughout the country, people celebrated by going to church on Sunday, to thank God for great mothers. There was entertainment provided to portray the importance of mothers in our societies. And there was singing, dancing, acting out skits from the Bible and poem readings about mothers. For members of the E.F.K.S church, “A Real Christian Mother” was the theme for Mothers’ Day in the church’s International Bible Reading book. 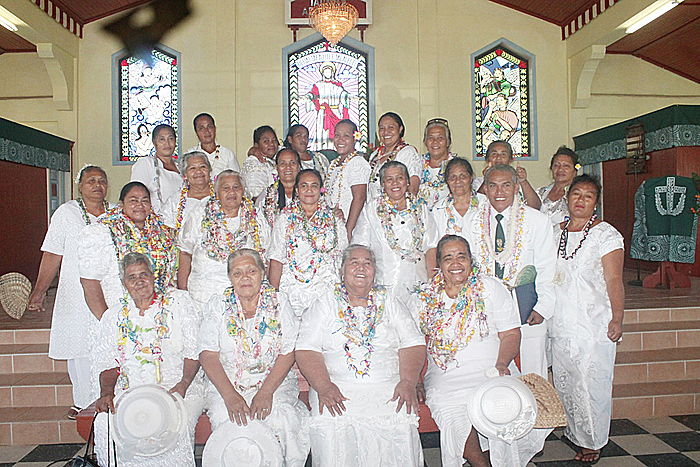 The theme was well portrayed on Sunday by the mothers of Faletagaloa, Safune. Through singing, dancing and skits, the congregation were reminded that a real Christian mother is one who teaches her children about God’s ways. Moreover, they also reminded the congregation that a real Christian mother does everything out of a good heart and serves the Lord whole-heartedly. On Monday, there was a public day holiday, and the celebration of mothers continued.